Get this EXCLUSIVE tee from Theo Rossi. A portion of proceeds goes to Humane Society International’s "Street Dog Defender" Campaign which works to improve the lives of these street dogs by providing services like spay/neuter surgeries and vaccination programs. Millions of homeless dogs roam the streets, lonely and hungry, in countries around the world. Humane Society International works to improve the lives of these street dogs by providing services like spay/neuter surgeries and vaccination programs. They also offer training and education opportunities to local communities to help people and dogs live together more harmoniously. 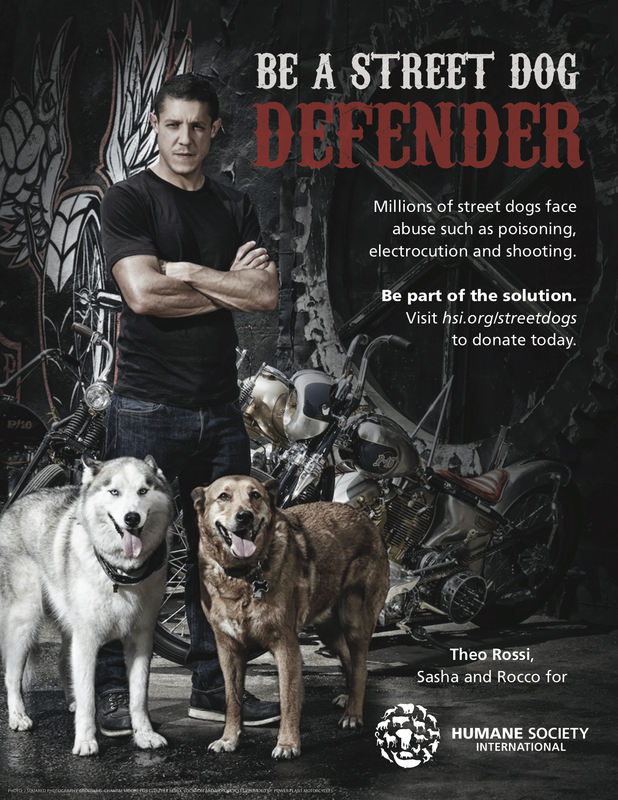 Visit hsi.org/streetdogs to join Theo in becoming a #StreetDogDefender.